How would you feel if I butted in line when you were waiting to use the bathroom? You would hate me. But why? A little thing called etiquette – the things we do to be polite and make our behavior pleasant to others. Sending a post-interview thank you note is a cornerstone of etiquette. Even if you’re confident that you aced your interview, it’s good form to say thank you for the opportunity. But like all forms of polite conversation, it’s easy to make a faux pas if you don’t know the current trends. How to write a thank you email after an interview? Do you send a post-interview thank you email or letter? How formal should you be? This guide will answer all your post-interview thank you email questions so that you’re sure that your manners are fit for a king. Post-interview Thank You Email Or Letter – Which Do You Send? There is no question – you must ALWAYS send a thank you email after an interview. As I mentioned above, it’s just a part of “post-interview” etiquette. A common courtesy. But 57% of candidates don’t send thank you notes after an interview – even though hiring managers expect it. For example, 86% of hiring managers said the lack of a thank you note after an interview sends the message that the candidate lacks follow through, and 56% said that it shows the candidate isn’t serious about the position. So, the bottom line is that you must always send a thank you email after an interview. But who gets it? What if you interviewed with multiple people? The answer is to send a thank you email after every interview to everyone that was in the room with you. The exception to the rule would be the panel interview, especially if many of the participants joined via phone or Skype. In this situation, it’s okay to send one post-interview thank you email addressed to everyone. But what if you don’t have the email addresses for everyone? It’s okay to send one email to the person whose address you have with a postscript at the bottom requesting that they forward the email to the other people who were present. Alternatively, you can request the email address of the other people in the postscript so that you can send them personalized emails as well. What if you don’t have ANY email addresses? If there was a person with whom you were initially liaising to organize your interview, such as a recruiter or HR specialist, you can ask them for the hiring manager’s address. You can also call the front desk and inquire about the possibility of obtaining an email address. In the case where a receptionist insists that giving out email addresses is not company policy, ask if you may prepare a letter to leave with them so that they may give it to the proper person. How soon should you send a thank you email after an interview? Within 24 hours after your interview. 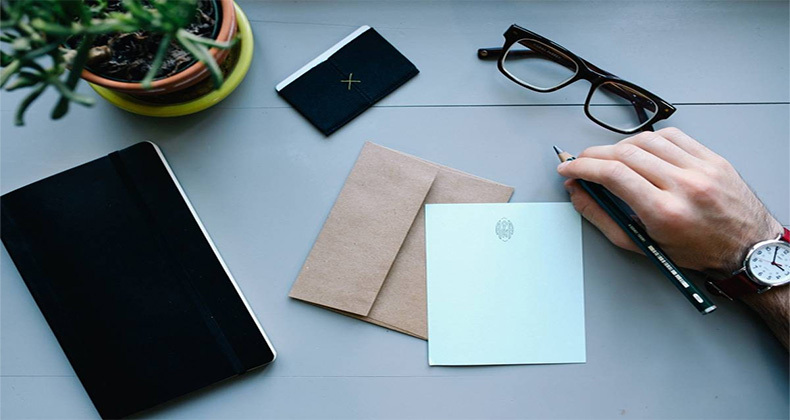 If you decide that you want to send a handwritten thank you letter after your interview, keep in mind that normal post may take two or three days to arrive. This is far too late. That’s why you should still send a post-interview thank you email within 24 hours, alerting a hiring manager to the fact that you’ve dropped a handwritten note in the mail. What if you interview on a Friday, and you can’t get an email out until after working hours? Even if you have to send an email after working hours, that’s okay. In that case, you can also wait until the following Monday if you know the hiring manager will not check their inbox until then. Also, while it may seem like an obvious solution, do not draw up post-interview thank you notes before the interview so you can drop them off at the reception desk on your way out the door. You aren’t giving yourself a chance to reflect on the conversations held during your interview or personalize the note, defeating one of the main purposes of the action. Pro Tip: If you interview with multiple people, ask for business cards during the interview, so you don’t have to search for emails later. 3. Post-interview Thank You Email Or Letter – Which Do You Send? Most hiring managers (87%) agree that it is appropriate to receive a thank you emailafter an interview instead of a handwritten letter. It’s up to you to decide whether or not a hiring manager would appreciate an email or a letter more. In some cases, a hiring manager may not find an email appropriate at all. For example, if you are applying to a stiff, suit-and-tie law firm, ala Devil’s Advocate, you may want to send a handwritten thank you letter after your interview. While some old school companies may see an email as a breach of etiquette, Yale Law School says that it is “preferable [to use email] given the time crunch,” but you should keep the professional business format and tone. To sum up, in 99.99% of situations it is more than okay to send a thank you email after an interview. The key to writing an effective thank you email after an interview is to make it personal. Avoid post-interview thank you email templates or fill-in-the-blank sample thank you letters. There are millions of sample thank you emails on the Internet. If you ask Google for templates, it will deliver. I know. It’s extremely tempting to fill in a template. Filling in the blanks gets that email out faster and makes you feel confident that you sent something correct. The whole point of sending a thank you email after an interview is to reiterate your interest in the position, to keep your sparkling self at the forefront of a recruiter’s mind, and to reinforce your uniqueness as a candidate. Yes, and to express gratitude. With that in mind, you’ll need some more pointers to get started. Keep your post-interview thank you note short and sweet. Implement a three paragraph rule. You do not want to write a play-by-play recap of your interview, or go into too much detail about how awesome you are. Hello – thank you – I enjoyed talking to you about that project that I know I have some solutions for – I hope the wedding planning continues to go well – I hope to hear from you in a week as you said – Sincerely – Bye. In the first paragraph, express your gratitude for the opportunity. Use the second paragraph to comment on the value you’d bring to the company by mentioning a project or solution that you discussed. In the third paragraph, you can touch on something that you felt was left out during the interview. Or you can refer to a personal topic that you and the hiring manager bonded over, such as the wedding planning mentioned in the example. Aim for around 200 words and remember that hiring managers are people too. As far as tone is concerned, the degree of formality you use should reflect how formal the recruiter was at your interview. Again, it is up to you to decide how formal to be. There are no hard and fast rules. You can use the hiring manager’s first name if you know it for the sake of personalization. You can attach a formal letter, properly formatted, as a PDF file. Then write a shorter post-interview thank you email if you want to make sure that you’ve covered all of your bases. I know, I just got done telling you that samples are bad. But this section gives you sample ideas for the content of your post-interview thank you email. Start out with using “the three W’s” to guide you. What are the three W’s? Well, to be honest, it’s the five W’s, and they are who, what, when, where, and why. It’s a technique used by writers, journalists, and genius kids writing essays for English teachers. But you only need three – who, what, and when. Who – the hiring manager. Ask yourself – what value can you bring to the hiring manager? What will they appreciate reading? You do not want to write a thank you email after an interview that is a summary of your skills and greatness. They already read your resume. They know your skills. It’s time to shift gears and focus on the hiring manager now. What – your value and a personal bonding topic. If you are focusing on the hiring manager, there are two things that you should address in the body of your letter. First, you should mention that you can bring value to them by helping them with a project or finding a solution for a problem that they have. Think back to your interview, was there anything that got said about how you would accomplish something for them? Refer to that and reiterate how you will help. Next, think if there was any personal topic that you and the recruiter bonded over, such as a shared hobby or interest. Make a reference to that at this point in your post-interview thank you note. When – mention when you expect to hear back from them. You will want to pave the way for a follow-up. After an interview, it is typical to follow up to see if they’ve made a decision or not. And that’s the beauty of sending a thank you note after an interview. It does the job of a follow-up dressed in thank-you-note clothes. Plus you get the opportunity to announce when they can expect the actual follow-up call. The first line should encourage them to contact you if they need more information. Please let me know if I can provide you with any additional information. And one that lets them know when you will follow up with them. As discussed, I will give you a call in two weeks to follow up and check in with you. I look forward to hearing from you. If you made plans for a follow-up during your interview, refer to the pre-arranged time. What goes in the subject line? A typical inbox reveals about 60 characters of an email’s subject line. That number gets reduced to 25-30 characters on mobile devices. It’s the same as when you want to email a resume to a hiring manager. So, “thank you” (with a space) is already nine characters, giving you 51 left to use. So what would a thank you email after an interview look like in the end? I wanted to thank you for taking the time to meet with me on Friday. I am very excited about the opportunity to work for Aunt Pittypat’s Kittycat Emporium! I was thinking about the problem you’re having with selling premium cat toys. I remembered that when I began to organize open house days for customers at my last job, premium toy sales went up by 10%. All we did was allow customers to bring their cats in to try out new toys. I hope that helps! I also wanted to say good luck with your petunias. I just tried the technique with the banana peels that you suggested to get rid of aphids, and I am looking forward to the results. I will have to let you know how it goes. Please feel free to contact me if you find you need any more information. I look forward to our call in two weeks as we discussed. Thank you once again, Melanie. Pro Tip: Note the informal tone of the email. Rene decided to write Melanie using a friendly tone because she felt that the interview had gone the same way. Add a link to your website, blog, or portfolio – even if they were already on your resume. That will remind the hiring manager that you’ve got a blog and give them easy access to it. If you do decide to drop a handwritten note in the mail, go with professional, personalized stationery instead of a greeting card. If you’re going to go with a personal touch, go all the way. If you decide not to send a handwritten note by mail, you can still write a formal letter and attach it to your email as a PDF as discussed above. It shows that you’ve gone the extra mile. If you’ve read any of my guides before, then I shouldn’t have to tell you how important it is to proofread anything you write and send to a hiring manager. But I’m going to tell you again. If you’ve gotten to this point in the recruitment process, the worst thing you can do is to make a dumb mistake. You are not out of the forest yet. Again, use proofreading and grammar tools first, such as Grammarly and Language Tool. Then grab your mom, sister, husband – whoever is available – and make them proofread post-interview your thank you email. You must always send one. You must always send one to everyone. You must always send one within 24 hours. The rest is up to you. Just remember to add personal touches and to gauge the level of formality based on the atmosphere of your interview. No hiring manager in the world wouldn’t love to receive an authentic, personal thank you note after an interview. And it gives you a golden opportunity to stay in the good graces and the memory of a hiring manager long after that last handshake.